I have been reading a lot lately on rechargeable battery. I started my research since I had to buy a new battery for my laptop. The battery is really expensive! Since then, I was wondering if there are any ways to extend the life of a rechargeable battery. As I was doing my reading, I got a very good tip from an e-book that I bought. The title of the book is “How To Recondition Batteries At Home”. In one chapter of the manual, it talks about getting a good smart charger. The idea of using a smart charger is not to overcharge the battery. Overcharging a battery will kill its lifespan very fast. So what is so special about a smart charger? Apparently, a smart charger will sense when a battery is fully charged. It has a feature known as “trickle charging” that keeps the battery tops off. The trickle charging process charges the battery at a lower power rating and usually it will last for another 15 to 30 minutes. What if we bought a cheap “dumb” charger? Firstly, a dumb charger will take a longer time to charge a battery because it has a lower charge current. A dumb charger would not have the feature to revert into trickle charging. This means, the charger will keep on charging the battery at the same power rate even though the battery is full. The result of overcharging is reduced battery life or in some cases fire or explosion due to excessive heat. I use a lot of AA rechargeable batteries at home. Most of the time when I recharge them, I will leave them on the charger overnight. Is the charger overcharging and killing the batteries? I hope not, or I’ll be wasting a lot of money. If you are keen to learn more on how to extend the life of reusable battery, check out the “How To Recondition Batteries At Home” e-book. 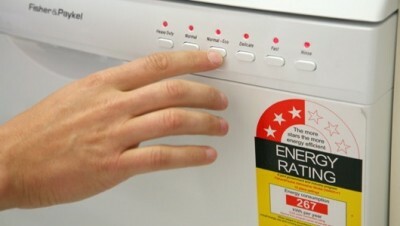 You can find them at www.reconditionbattery.com. 2) 5 tips on maintaining deep cycle battery for home solar power system.